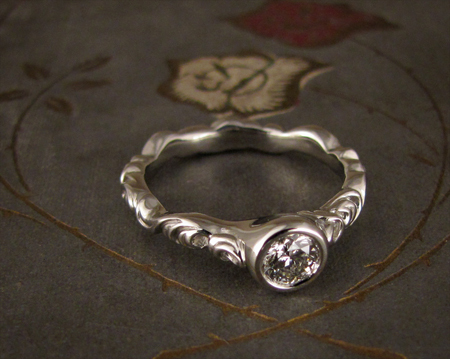 This ring was cast into 14K palladium white gold, which has a slightly deeper color than the more common 14K nickel white gold. (Some people have nickel sensitivities or allergies, in which case I use a palladium white gold alloy.) It’s super subtle, but I think the deeper color went awesomely with the blue stone. 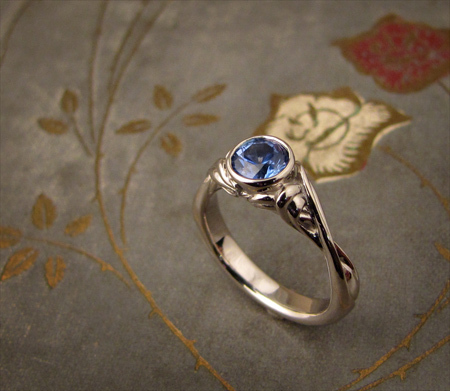 The sapphire is a gorgeous 5.5mm stone with a clear Ceylon-blue color. I love how it turned out. 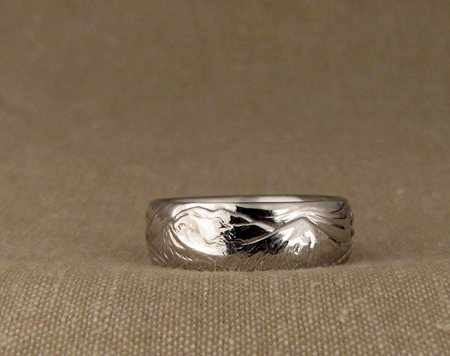 I’ve carved a few pictorial panorama rings with similar themes: tree, ocean, wave, shell, etc. 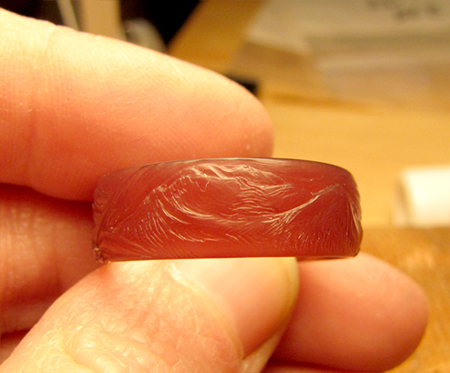 It is a really fun ring to carve because I get to have so much real-estate! On this one, the client wanted to have his favorite mountain: Mammoth Mountain in CA. The finished piece was cast into Palladium.